Microsoft Windows from the beginning has always included a feature that would allow a user the ability to take picture of their desktop screen using the Print Screen function. By using the print screen button on the keyboard you could easily capture a screenshot of whatever was on your screen, unfortunately there was no way to edit the image without extra software. Software developers at several of the leading software companies figured that if there was a way to give users the ability to not only capture the screen and turn it into an image file, but then within the same software make it where a person could manipulate the image and save the file. Hyperionics was one of those companies that was working on ways to combine screen capture and editing software with in a single program. 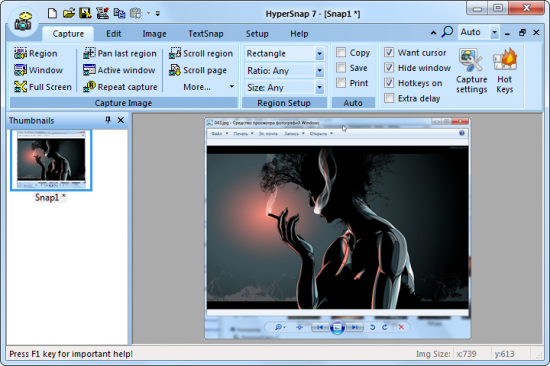 After years of development they created a program called HyperSnap with numerous powerful tools that were designed especially for; Screen Capture, Image Editing and Sharing. The key to any screen capture software is the functionality and tools that are included. 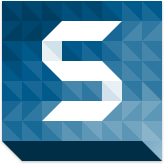 So Hyperionic developed HyperSnap with lots of features and functionality with several tools for turning simple screenshots into powerful presentations and useful training aids. All of the many tools that are included inside Hypersnap are easy to use and consist of point and click activation and many have drop down menus with multiple options. The tools include; Screen Capture, Image Editing, FTP Uploader and Customizable Interface. Image capture from multiple monitors – If you have more than one monitor at your desk and you need to be able to record from one or more, you can use this setting to be able select the other monitor screens. Customizable Screen Capture – For those times that you only want record a certain part of your screen. Just use this option to set the correct screen capture orientation. Capture Drop Down Menus – When capturing web pages that have drop down menus use can use this tool to record the contents of the drop down menus. Objects, Text and Annotation Tools – Being able to add objects and text to your recordings makes it possible to create tutorials and presentations. Automatic Color Substitution – Altering colors in the screen captures is a way to make simple perspective changes to any image. FTP Uploader – The Sharing of files is one of the most important functions necessary when it comes to collaborating on projects. Especially if the project involves multiple people in offices that could be spread across the globe. Being able to upload files directly through a FTP connection is part of HyperSnap, no more needing to send large files through email or other method that can be very cumbersome. Customizable Interface – To make the HyperSnap user interface totally user friendly engineers at Hyperionics made it where the user can customize the toolbars, color pallets and object boxes any way they want in order to make them easier to use. You can even set up custom keyboard shortcuts and even use a voice command program to control the functions in HyperSnap. Frequently Asked Questions Page – One of the most popular types of website based technical support system implemented by smaller software developers is an FAQ (Frequently Asked Question) page. This gives the user a place to post their questions and a staff member from the company will post a response. As this grows, all users can check out the page and possibly find an answer to their question without having to wait for a response. This helps the company save on dedicated support staff. Search Hyperionics Web Site powered by Google – HyperSnap or screen capture in general they placed a search feature. By adding the Google search bar directly on the site, you can find the information you are looking for without having to leave the page. HyperSnap Support Forum – Live forums are another really popular way for users to get answers to questions. By signing up for forum any user can log in and interact with an employee of Hyperionics. Since the forum is open 24/7 any registered member can access it and post questions. Hyperionics HyperSnap is the perfect screen capture program that was designed to eliminate the limitation that comes with Windows Print screen. 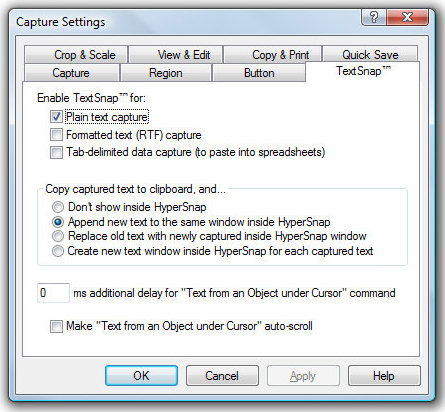 HyperSnap makes it possible to do multiple screen captures, organize them and edit them. The Hyperionics developed several powerful tools for Hypersnap. The tools that are built in to HyperSnap make it easy to control how you capture the images, edit the images and then share them. These tools are used for a wide range of uses like presentations, tutorials and other company training aids. HyperSnap also makes it easy for businesses to collaborate by including a built in FTP function for uploading and sharing files across town or across the globe. In you are the market for this type of software and want to know more about Hyperionics HyperSnap, just click here.